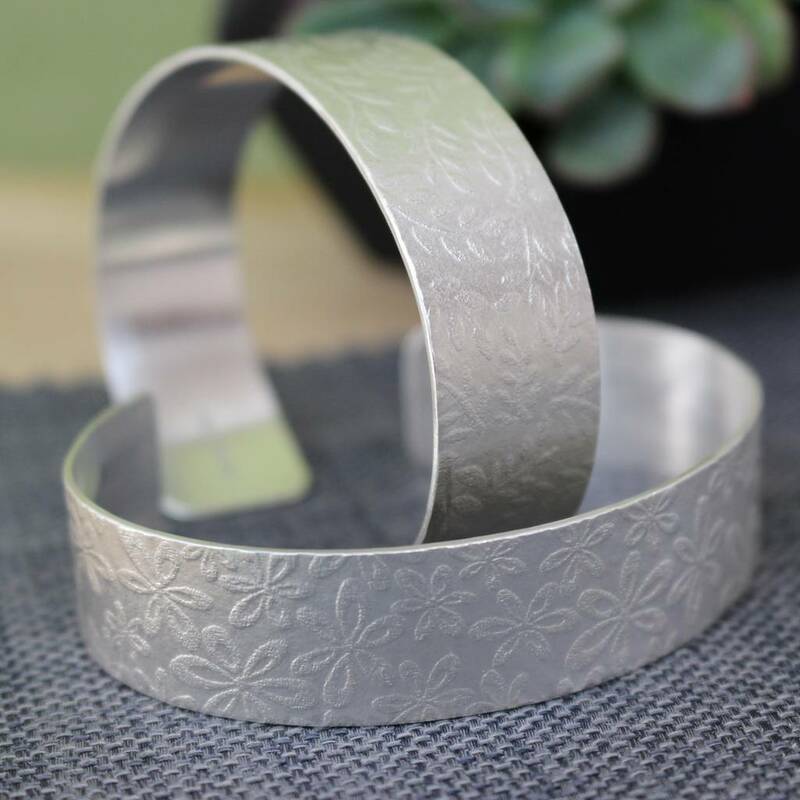 An elegant yet easy to wear sterling silver cuff bracelet embossed with a beautifully tactile texture of interweaving flowers and leaves. Beautifully easy to wear with a design inspired by the flowers and trees in my garden, a perfect reminder of summer days. 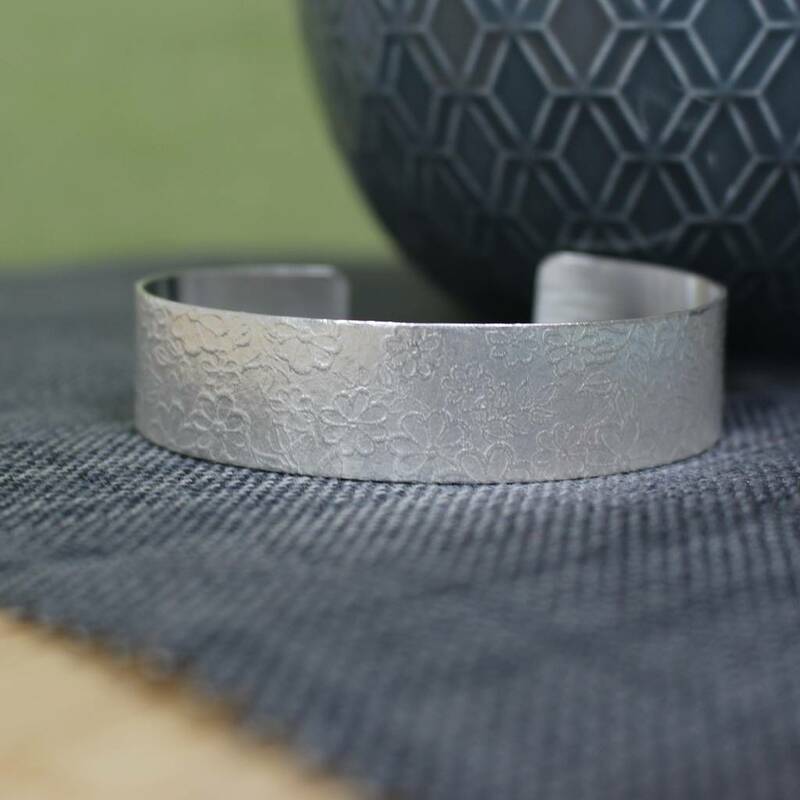 As each cuff uses a slightly different part of the pattern no two pieces of jewellery are ever the same. One size generally fits all as the cuff can be gently opened up and then moulded to fit the individual when first put on, but other sizes of cuff can be made on request. 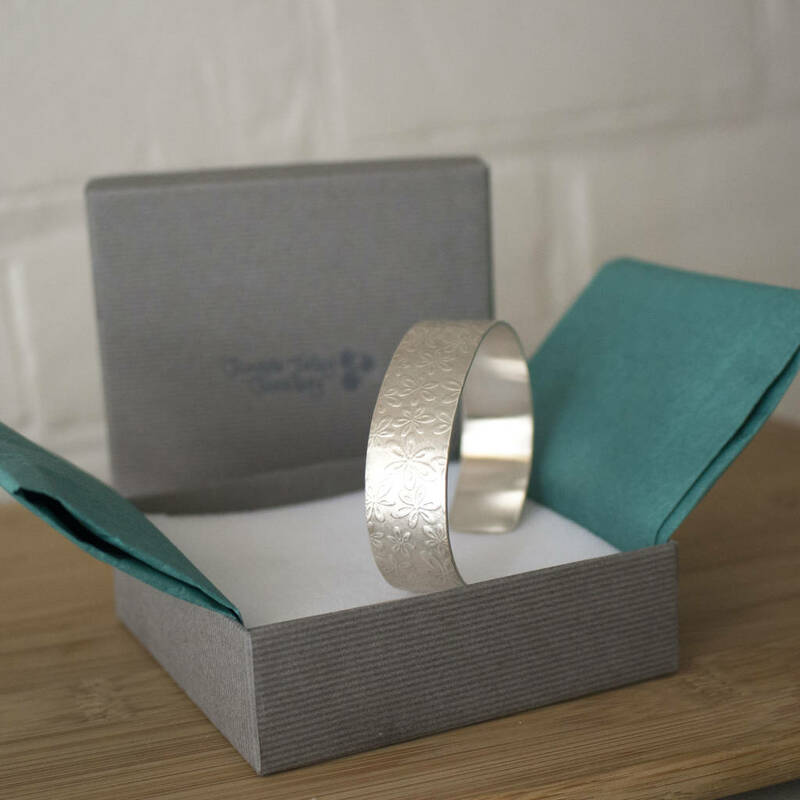 Four different designs of Watercolour cuffs are available and the second photograph shows a Floral cuff alongside a Leaf cuff. Matching earrings, pendants, necklaces and brooches are available.